This post we feature Deirdre Heekin — proprietor and wine director Osteria Pane e Salute in Woodstock, Vermont (where her husband, Caleb Barber, is head chef), Middlebury College alum, and of course, author. 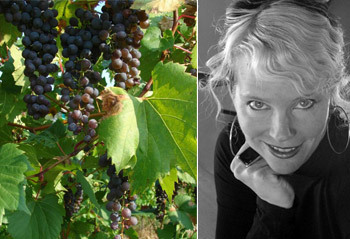 Her previous books include In Late Winter We Ate Pears, a memoir/cookbook she and her husband wrote about their year in Italy and Libation, a Bitter Alchemy, Heekin’s book of essays about how she came to make wine and liqueurs. 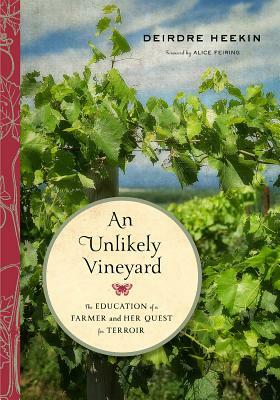 Ms. Heekin will visit the Norwich Bookstore at 7 pm on October 29th to discuss her latest book, An Unlikely Vineyard: The Education of a Farmer and Her Quest for Terroir. This event is free and open to the public. However, reservations are recommended as space is limited. Just call 802-649-1114 or email info@norwichbookstore.com to save a seat. Please note this event will take place in the newly expanded section of our beloved Norwich Bookstore. CONGRATULATIONS to the owners and booksellers there — both for 20 years of serving readers with great books and gifts, and for their new space. I’m actually including four! Reading Between the Vines by Terry Theise, Naked Wine by Alice Feiring, False Papers by Andre Aciman, and Swann’s Way (Remembrance of Things Passed) by Marcel Proust. Terry Theise‘s writing about wine, landscape, and the winegrowers he profiles is some of the most soulful, evocative and precise wine writing out there and very moving. His work inspires me to try to write with the same kind of balanced intention and heart. Alice Feiring‘s work is eloquent and provocative. I admire her courage in writing things as she sees them, her willingness to drive a discussion that she feels is important, and to write about her own arguments honestly and with humility, humor, and flair. Andre Aciman has long been a favorite prose stylist. He writes with longing, melancholy, joy, curiosity and nostalgia. He is a consummate craftsman, the crystalline and fluid prose he shapes with great care and an uncanny sense of place. Marcel Proust‘s examination of memory has always delighted and inspired me. So much of what I write about is based on memory and I have learned so much from reading and rereading his work recreating the world in which his past exists. 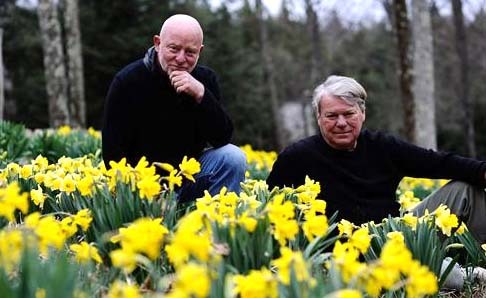 I would love to meet with the writers Wayne Winterrowd and Joe Eck, over a coffee or a glass of wine at their magical gardens. Their work of writing, creating, and living together was a testament to the power of their relationship as well as a benchmark for the art of the written word and shaping a landscape, guiding the narrative of a place, its plants and the people who live there. Their work together, and now Joe’s alone, is also in my top five writers who have influenced how and why I am an author today.